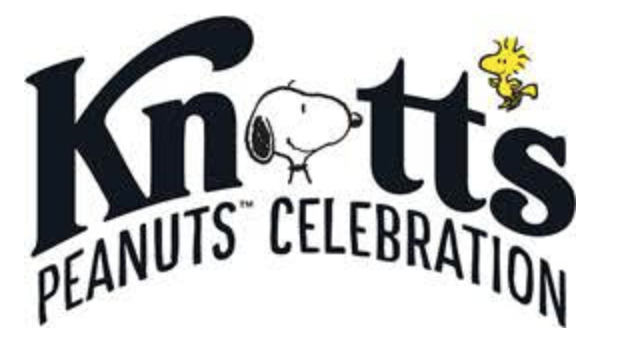 Knott’s Berry Farm continues to grow is large library of special events through the year with the new Peanuts Celebration! Utilizing the various cast of colorful characters from the famed Peanuts comics and cartoons, Knott’s plans on creating incredible specialized entertainment and activities for the whole family. Who doesn’t love getting a huge from your favorite beagle any how? Below you will find all the details outlining what you can expect from this ALL NEW event. The PEANUTS Inspired Multi-Weekend Celebration Will Feature Comic Strip Inspired Photo ops, new Entertainment, kid-Friendly Activities, Special PEANUTS Décor, and Much More! An all-new Seasons of Fun event uniquely dedicated to celebrating the beloved PEANUTS characters, invites guests to step inside the pages of a Charles M. Schulz comic strip as the characters take over the entire theme park for the very first time. The newly introduced event will take place on weekends beginning January 27th through February 25th plus President’s day, February 19th. The limited time celebration invites fans of all ages to join in on the fun by introducing new ways for guests to play and interact with the PEANUTS Gang throughout the park. The event will feature special PEANUTS inspired décor, new social media worthy comic strip photo ops, new character experiences, live shows, exclusive merchandise and deliciously themed treats to complete this whimsical celebration. The celebration will have plenty of surprises hidden around every corner. One-of-a-kind photo opportunities will be available throughout the park allowing guests to pose alongside their favorite characters or step into a PEANUTS comic strip to create a unique and lifetime memory. The vibrant décor will include full size comic strip props like Charlie Brown’s kites and the iconic kite eating trees which will adorn the park’s pathways. Guests will have the chance to meet with the beloved PEANUTS characters throughout the day as the characters appear at unexpected locations for special interactions. The PEANUTS inspired festivities continue at the Birdcage Theatre as the park introduces an experience that gives both the young and the young at heart a lesson on how to draw their favorite PEANUTS character. The PEANUTS Sketch School will include our resident art teacher who will provide step by step instructions on how to draw the perfect PEANUTS masterpiece. After class is dismissed, a special showing of a classic PEANUTS television special will be shown in the theatre. Franklin and Linus are on a Western escapade as they transform into cowboys in the new PEANUTS Cowboy Jamboree at Calico Park. The boys are looking to challenge guests with some of the rootinest, tootinest games in Calico. Also in Ghost Town, everyone’s favorite messy pal, Pig Pen will be making his Knott’s Berry Farm debut as he hosts a special meetup at the Livery Stables with some of his favorite animal friends. The celebration continues at the Calico Mine Stage where the PEANUTS characters have two all-new musical surprises for guests. During the day Sally and Schroder will host a retrospect of music in The Music Goes Round and Round where they’ll have the audience dancing in the aisles. At nightfall the stage will transform into a musical extravaganza as the park presents the first ever Woodstock’s Musical Festival. The musical event will feature the Peanuts Gang joined by the family-friendly indie band The Jelly of the Month Club, performing a high energy rock concert for the whole family. Guests will also uncover hidden fun as they venture into Fiesta Village were Lucy and Sally have taken a journey south of the border as they have been introduced to the colorful dancing of Mexico. Lucy and Sally’s Fiesta Fantasy will bring lively music, traditional costumes and live performances to the Fiesta Village stage.